5-HTP (5-Hydroxytryptophan or oxitriptan) is an amino acid that is naturally produced in your body. 5-HTP is synthesized from the amino acid tryptophan which we get from food. 5-HTP is the immediate precursor of serotonin. And as a nootropic and dietary supplement, 5-HTP is popular with those who advocate its effectiveness in treating depression. Along with a number of other serotonin-related diseases. But using 5-HTP for treating depression and anxiety is not supported by science. The research is contrary to how 5-HTP is viewed by many, including medical doctors. We’re all for boosting neurotransmitter levels and optimizing cognitive performance here at Nootropics Expert. But now and again we run into a nootropic or dietary supplement that may be popular. But also may be a particularly bad idea. We’re going to get to the bottom of how 5-HTP works in your brain in this post. We’ll examine why it’s critical for brain health. And reasons why you may want to find another way to boost serotonin levels in your brain. Anxiety & Depression. 5-HTP is synthesized into serotonin in brain cells. Elevating levels of serotonin can help relieve the symptoms of anxiety and depression. Neurotransmitters. 5-HTP is a necessary ingredient for serotonin synthesis which boosts mood and social behavior, improves memory, regulates appetite and digestion, sleep, sexual desire and function. Brain Optimization. 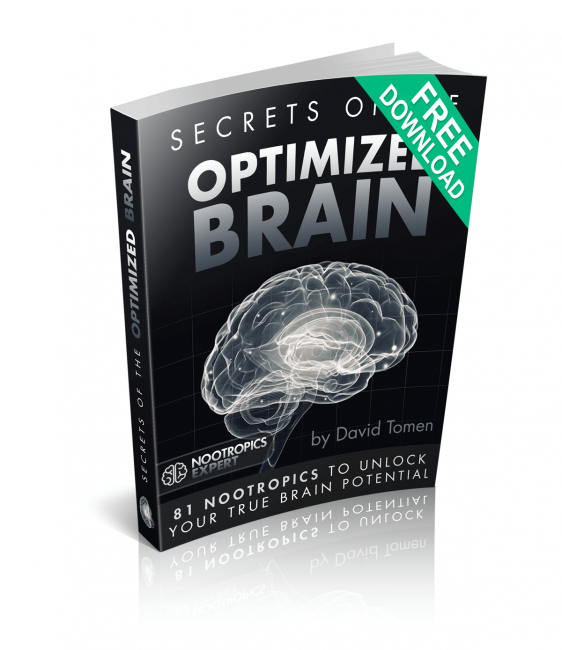 A critical balance of the primary neurotransmitters serotonin and dopamine are needed for the highly optimized brain. When these neurotransmitters are not in balance it affects mood, memory, cognition, decision-making, sexual desire, and a host of other critical life functions. 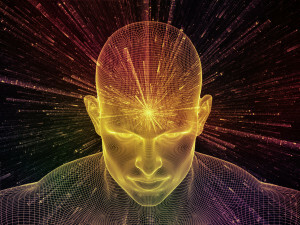 How does 5-HTP work in the Brain? 5-HTP (5-Hydroxytryptophan or oxitriptan) is an amino acid that’s synthesized from the essential amino acid tryptophan. As a neurotransmitter, serotonin influences directly and indirectly, the majority of brain cells. So if you want to boost serotonin in your brain, some find that supplementing with 5-HTP is better than taking tryptophan. Tryptophan, which your body uses to make 5-HTP, can be found in turkey, chicken, milk, potatoes, pumpkin, sunflower seeds, turnip and collard greens, and seaweed. 5-HTP is a precursor to serotonin. The neurotransmitter serotonin plays a role in sleep, appetite, memory, learning, mood, and sexual function. When tryptophan’s role in converting to 5-HTP for boosting serotonin doesn’t work efficiently, the result is often depression, chronic headache and insomnia. An open-label trial was conducted in Italy to determine the efficacy of using 5-HTP in young subjects with high levels of “romantic stress”. Serotonin has been linked to human romantic attachment. So researchers in this study set out to determine brain levels of Brain-Derived Neurotrophic Factor (BDNF) and serotonin in relation to changes in romantic stress during the study. 15 healthy subjects (mean age 23.3 years) who had a “romantic breakup” took part in the study. Participants received 60 mg of Griffonia simplicifolia extract containing 12.8 mg 5-HTP daily for 6 weeks. The subjects were evaluated for BDNF and serotonin levels at the beginning of the study, at 3 weeks and then again at the end of the 6-week trial. This “romantic breakup” study is a classic illustration of why using 5-HTP alone to treat depression and stress may not work. And if it does work, why it may not work for long. Depression is often more than simple serotonin dysfunction. Depression can also be associated with catecholamine dysfunction, including dopamine and/or norepinephrine. Or a combination of serotonin and catecholamine dysfunction. When you take 5-HTP alone, you are also depleting dopamine, norepinephrine, and epinephrine. Synthesis of serotonin from 5-HTP, and dopamine from L-DOPA is catalyzed by the same enzyme, L-aromatic amino acid decarboxylase (AAAD). Dopamine and serotonin precursor supplementation must be taken in proper balance. Because when you use only 5-HTP, it dominates dopamine at the AAAD enzyme synthesis level. Going back to our Italian study of young people dealing with “romantic stress”, the subjects stopped responding to 5-HTP in the 2nd half of the study. Likely because their catecholamines became depleted through continuous 5-HTP supplementation. When catecholamine neurotransmitter levels (dopamine and/or norepinephrine) influence depression, supplementing with 5-HTP alone is not the way to go. Because you may deplete dopamine and norepinephrine, worsening the disease and its underlying cause. Amino acid precursors of serotonin (i.e. 5-HTP) and dopamine (i.e. L-Tyrosine) work together during synthesis, metabolism and transport to the point that they function as one system. When you mess with this balance and improperly supplement with serotonin or dopamine precursors, you don’t get the desired effect of using that nootropic. And you increase the possibility of side effects. If you supplement with only one precursor (i.e. 5-HTP to boost serotonin) that dominates the other system (i.e. dopamine synthesis), depletion of the dominated system will occur (i.e. depleted dopamine). And if this effect is pronounced enough, you will not get the benefit you were aiming for when supplementing with the original precursor (i.e. 5-HTP). Since serotonin and dopamine cannot cross the blood-brain barrier, the number of serotonin and dopamine molecules in the brain is a function of the amount of nutrients (amino acid precursors) that are available to be synthesized into new neurotransmitter molecules. Optimizing brain function with minimal side effects is NOT a function of supplementing until you get sufficiently high amino acid levels. It’s a function of achieving the proper balance between serotonin and dopamine. 5-HTP is absolutely critical for synthesis of serotonin in your brain. But supplementing with 5-HTP to boost serotonin does not work well. Using 5-HTP to treat depression has had very little success over the last few decades of clinical trials and biohacking. Integrating 5-HTP into your nootropic stack is much more complicated than simply adding some 5-HTP in order to boost serotonin. 5-HTP alone will not work for depression, or any other issue you’re dealing with involving the catecholamines (dopamine, norepinephrine, epinephrine) because of 5-HTP’s tendency to deplete those neurotransmitters. 5-HTP will boost serotonin in your brain. [xii] But 5-HTP must be carefully stacked with precursors for dopamine and norepinephrine or you risk making the situation worse. You must avoid supplementing with only one of the serotonin or dopamine amino acid precursors. When amino acid precursors are not in balance, you end up with decreased effectiveness of that nootropic, increased side effects, and depletion of the non-dominant system. Reactions to supplementing with 5-HTP vary considerably but the one consistent theme is initial feelings of well-being, better sleep, less need for sleep, improved mood, less social anxiety, lower appetite, improved tolerance for stress and improved cognitive function. And after a couple of weeks of dosing 5-HTP side effects begin. Serotonin overload results in dopamine and norepinephrine depletion. Side effects include feelings of lethargy, depression, brain fog, stomach pain, and headaches. Worst case scenario is nausea, vomiting and even blacking out. 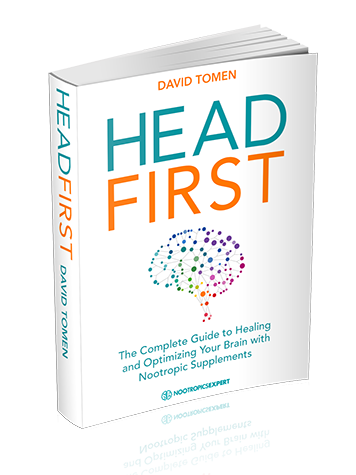 Neurohackers who report consistent success supplementing with 5-HTP stack it with B-Vitamins, a dopamine precursor like NALT, and only use 5-HTP as needed. Those who have a bad experience with 5-HTP from the start often have no idea why they’ve reacted badly. But an educated guess is their depression was catecholamine (dopamine, norepinephrine, epinephrine)-related. And boosting serotonin made their dopamine-related issues worse. Very quickly. One huge word of WARNING: Do NOT take 5-HTP with any antidepressant medication. You put yourself in the very real danger of Serotonin Syndrome which can ultimately kill you. 5-HTP supplements are heavily marketed as a natural remedy for depression. But the science does not support using 5-HTP for depression. We have decades of clinical trials available. And there is no evidence of the efficacy in using 5-HTP for depression. 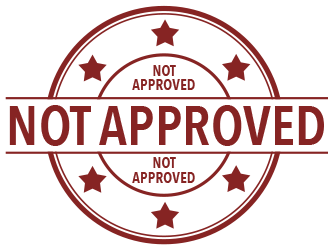 The Department of Public Health at the University of Queensland Medical School in Australia did a systematic review of literature dating from 1966 – 2000 for “5-HTP” and “depression”. 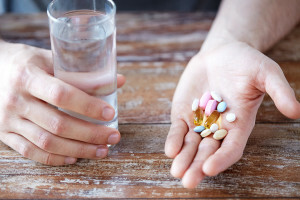 The researchers found 108 clinical studies of which only 2 studies, one with serotonin (5-HT) and one with L-Tryptophan for a total of 64 patients met sufficient quality criteria to be included. These studies suggest serotonin (5-HT) and L-Tryptophan are better than placebo at alleviating depression. A double-blind, placebo-controlled trial in Italy studied the efficacy of using 5-HTP in treating fibromyalgia symptoms. Insufficient activity of the neurotransmitters serotonin and norepinephrine is a central element of the model of depression most widely held by neurobiologists today. In the late 1970’s and 1980’s, numerous studies were performed in which depressed patients were treated with the serotonin precursors L-Tryptophan and 5-Hydroxytryptophan (5-HTP), and the dopamine and norepinephrine precursors Tyrosine and L-Phenylalanine. A summary published in the Alternative Medicine Revue looked at the data from all these studies. The author noted that the nature of the studies makes it difficult to draw firm conclusions regarding the efficacy of neurotransmitter precursors for treating depression. Those studies have not materialized since that report was published 16 years ago. Recommended dosage of 5-HTP if you’re going to try it is 50 mg 1 – 3 times per day. Some studies have used higher doses than our recommended dose, but 5-HTP can be toxic at high doses. For anxiety or depression, 5-HTP is dosed at 150 – 300 mg per day total. Successfully supplementing with 5-HTP requires stacking it with a dopamine precursor like L-Tyrosine or L-DOPA along with B-Vitamins (for synthesis), and one of the sulfur-containing amino acids (methionine, cysteine, homocysteine, or taurine). And you must monitor the effects this stack is having on your body. If you start experiencing side effects of any kind, it’s a good indication that either serotonin or dopamine is out of balance. DO NOT combine 5-HTP with any kind of antidepressant medication. Combining SSRI’s, Tricyclics or MAOI’s with 5-HTP will cause Serotonin Syndrome. An extremely dangerous condition involving severe mental changes, hot flashes, rapidly fluctuating blood pressure and heart rate, and possibly coma. Serotonin Syndrome can kill you. And we’re not kidding here. 5-HTP supplementation can cause heartburn, heart palpitations, headache, stomach pain, nausea, vomiting, diarrhea, drowsiness, sexual problems and muscle issues. 5-HTP can also cause some pretty radical mood changes including agitation, aggressiveness, anxiety, euphoria, poor decision-making, irritability, psychosis, restlessness and insomnia. 5-HTP can make the symptoms of schizophrenia, bipolar disorder and other mental disorders worse. 5-HTP is made from tryptophan in your body. 5-HTP as a nootropic supplement is made from extracts of the African tree Griffonia simplicifolia. 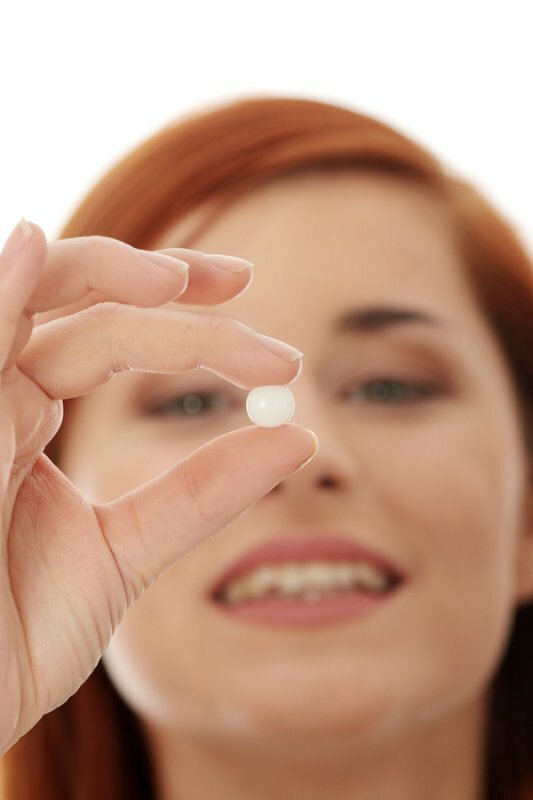 5-HTP supplements are typically in tablet or capsule form. You’ll often find 5-HTP in many ready-made vitamin and herbal formulas. We DO NOT recommend using 5-HTP as a nootropic supplement. Your body does synthesize 5-HTP on its own to make serotonin in your brain. And you can’t get 5-HTP from food. But you can get L-Tryptophan from food which is synthesized into 5-HTP in your body. 5-HTP may help you if you’re dealing with depression. But you must stack if with a dopamine amino acid precursor along with B-Vitamins and a sulfur-containing amino acid. See the “Dosage Notes” in this post. IF you are going to try 5-HTP, we suggest starting with a dose of 50 mg daily. You may want to take it in the evening because it could help you sleep. Short-term dosing of 5-HTP of no more than 2 weeks seems to provide the most benefit if you’re going to benefit from this nootropic. Or try using 5-HTP only on an “as needed” basis. For a mood boost, improve social anxiety, and provide a short-term boost in cognition. 5-HTP supplementation on its own is NOT recommended. Nor is it recommended for long-term use. Hi david i take 8mg of buprenorphine a day my question is am i ok to take tryptophan or 5htp with the buprenorphine? Louis, buprenorphine affects opiate receptors. And tryptophan and 5-HTP affect serotonin receptors. Two completely different neurotransmitters. Their pathways may affect each other in some manner. But the science is not clear how. So there shouldn’t be an interaction. But I am not qualified to provide advise on whether you should take the two together. Only a licensed health practitioner can offer that advice. Thank you for all those valuable information in your website. I have two question here please. – Do you think L-tryptophan supplement requires stacking it with a dopamine precursor like L-Tyrosine or L-DOPA as well? if yes is it 50/50? – Another question, what do you think about those anxiety supplements that contain 5-HTP among other herbs like Ashwagandha, Lemon balm…without any Dopamine precursors content, in which work very well and after few weeks people have totally recovered from their anxiety symtoms without any side effects? Michel, it is really up to the individual what is needed. Certainly, dopamine and serotonin need to be in balance. But my experience is that it takes trial and error over time to find out exactly what is needed. And what works best. And depending on your age and genetic makeup you may find L-Tyrosine works better than L-DOPA. Try L-Tryptophan with L-Tyrosine and see how you feel. Your second question about 5-HTP is yes, it’ll work for awhile. But not long term because 5-HTP is so potent that long-term use will throw everything out of whack. And you’ll stop experiencing the benefit. That’s been my experience. And what researchers have found during clinical trials. Other boosters of serotonin and GABA are much safer to use especially long-term than 5-HTP. Hi David, Thanks for your answer above. Actually, I take L-tryptophan supplement once a week and another week I take Mucuna pruriens, I leave one week gap between them. Because I have always thought not to work on Serotonin and Dopamine at same time (same day). I have heard that Dopamine needs low sugar and Serotonin needs high sugar. So, can I take L-tryptophan and Mucuna the same day then? Michel, I use L-tryptophan and Mucuna Pruriens on the same day with no problem. But Mucuna before noon and L-Tryptophan before bed. As you mention it’s important to stack it with certain supplements I wanted to be clear I am doing it right, The product I have is enhanced with vitamin b6/ 50 MG of 5htp to 10 MG of B-6 But I take a separate B-complex vitamin every day as well. The Neuroscience is very difficult to understand and my concern was you advise against it without stacking it with the right supplements like l- dopamine precursors Therefore I want to be clear on what I must take with it unless I already am. Is l- tyrosine a MUST or is there something else, as I just started this product I take one 50 MG pill 3 x per day. Also important to not I don’t have depression or any illness. A quality protein powder 4-5 times a day with BCAA – protein has l-tyrosine in it, is this sufficient? I tried kava yet I felt nothing on it. I was considering if I could benefit from bacopa after your recommendation on that product but I tried L-dopa and it did nothing. Justin, please study this post I wrote on sleep here > https://nootropicsexpert.com/best-nootropics-for-sleep/. I personally use 400 mg magnesium chelated (Doctor’s Best), 500 mg L-Tryptophan, approx. 6 ounces of tart cherry juice (pure from concentrate, NOT a juice blend), and about 25 mg 5-HTP (sublingually). And this stack works wonders for sleep. I’ve personally found melatonin to not be worth the effort. It can really mess with your mood. Very small doses can be OK for some people. I’m talking 0.5 mg types of dosages. Tart cherry juice is safer and provides melatonin (https://www.ncbi.nlm.nih.gov/pmc/articles/PMC3133468/). When you are using any of the racetams make sure you follow dosage recommendations including using a choline supplement like Alpha GPC or CDP-Choline. And you must keep a balance between serotonin and dopamine. You can use L-Tyrosine to boost dopamine. Some find that NALT or Mucuna Pruriens work better. NALT is more bioavailable. And Mucuna is L-DOPA which is a direct precursor to dopamine. Thanks a lot for that very valuable information, I just got a bottle of NALT 300 MG, for best results should I take it 3 x a day with my 5HTP and nootropics stacks? I don’t want to overdo it and get brain fog. I already take a High quality fish oil and CDP Choline. Justin, try 300 mg of NALT and see how you feel. You may need to double that dose. I just want to add that more than 50 mg a day of 5 htp may cause insomnia. Taking Rhodiola Roses in the evening can cause insomnia as well. Thank you for the links. Yeah I take 2000 IU of vit D3 everyday and reduce it to 1000 IU in Summer time, because here where I live is cloudy most of the days between October to April. “SAMe increases a brain chemical called serotonin. Some medications for depression also increase the brain chemical serotonin. Taking SAMe along with these medications for depression might increase serotonin too much and cause serious side effects including heart problems, shivering, and anxiety. Do not take SAMe if you are taking medications for depression. About the same I read here of 5HTP should not be taken with MAOIs. What is the effect then if SAM-e and 5HTP are taken both on the same day (or with a small time interval)? Wim, the effects depends on how your body responds to SAM-e and 5-HTP. And the amount of 5-HTP you use. If you are not using any other medications and try SAM-e and 25 – 50 mg of 5-HTP you should be OK and get good results. And the doses are low enough that if you have a negative reaction it shouldn’t be severe. Six years ago I experienced a severe depression following prolonged stress. This precipitated debilitating insomnia which, despite every non-pharmaceutical intervention, I have been unable to resolve. Prior to this time I enjoyed good sleep and am currently otherwise physically healthy and am not under any major stress. Recent cortisol testing revealed that my cortisol is slightly elevated at night and my melatonin level is low. For the past month, I have been trialling doses of 5htp, with some improvement – 50 mg morning and afternoon and 200mg at night, along with 1g GABA, 3 mg time release melatonin and 2 Seriphos. B vitamins are too stimulating for me at any time of the day but I have a good diet. However, while the above supplements give me a 3-5 hour initial block of sleep, I am still waking in the very early hours (b/n 1- 3 a.m.) and unable to get back to sleep no matter what I do or take then. I am reluctant to increase bedtime doses without supervision. I have also briefly tried tryptophan (2 x 500g at bedtime) along with the other listed supplements, with similar results – good first block of sleep but early waking and side effects of dry mouth and constipation which has inclined me to favour 5htp. However, because you prefer tryptophan for sleep and experimenting without guidance risks a worse outcome. I would like your opinion on dosage and timing. My Performance Lab Sleep review has a link to another post I did on sleep. Which has links to the individual nootropics and how they work. All was taken about 90 minutes before I went to bed. The raw honey was right before bed and is used to prevent a sugar crash in the middle of the night. Tart cherry is a natural source of melatonin. I’ve tried synthetic melatonin and it didn’t worked out so well. My mood the next day was awful. Magnesium will help get rid of your constipation and is a wonderful sleep aid. The two nights prior I forgot to take Performance Lab Sleep. Both nights I woke in the middle of the night and couldn’t get back to sleep. I don’t know what it is about that combo. You may want to try it along with the rest of the stack here. Hello David. Thank you for a wonderful article. I’m Natalia and have been experiencing depletion of my dopamine and serotonin levels because of the 2 medications I’m taking at the moment. I’m on a quitting cut down program right now and would like to substitute with substances to balance my dopamine and serotonin back to normal. I’ve done a lot of research and would like to try L-Tyrosine and 5-HTP together in the morning 500mg:50mg, and what you have suggested for sleep in the evening. Would the morning combination be ok for me for a start? Will I have any side effects such as lethargy from 5-HTP or will they balance each other out? Thank you very much in advance. Natalia, your intended stack of L-Tyrosine and 5-HTP is a good starting point. The doses are low enough that they should not cause side effects. While keeping dopamine and serotonin in balance which is key. I really appreciate your knowledge about notropic, following you for long time (from Bosnia). In a past for few times I had problem with tyroid gland TSH, hyperthyroidism. But everything was OK for last 2-3 years. Before 15-20 days I start to use some notropic components, rhodiola rosea, vinpocetine, Alpha-GPC, Noopept, Ginko, Huperzine-A and before few days I add 5-HTP to my stack. I start to have all symptom hyperthyrodism again (nervousness, headache, heart beat, neck pain). So my question is, do you think this is because 5-HPT, high serotonin cause hyperthyroidism or something else from my stack ? Also, what do you suggest to take for slow TSH without medical. Sounds like 5-HTP could be the culprit here. 5-HTP is an extremely potent nootropic because it is a direct precursor to the synthesis of serotonin. It’s very easy to use too much 5-HTP which will increase serotonin and in turn suppress dopamine. Instead of 5-HTP, you may want to try something gentler like L-Tryptophan. But take it about 90 minutes before you go to sleep. And consider gently boosting dopamine as well with some L-Tyrosine but earlier in the day. I will kick out 5-HtP. So what about to take Iodine in my case ? Do I need to kick out anything else from stack? Noopept ? Also .. I already order SAM-e, lithium and sulbutiamine..now afraid to take anything without your advice .. The rest of your stack looks safe as long as you follow the dosage recommendations included in each review for these nootropics. I think most need to supplement with iodine because most of us are deficient. But dosing iodine is more difficult because we have individual needs. I find that personally, the 150 mcg of iodine included in my multivitamin supplement is adequate. I stumbled on to your Youtube video about 5HTP after hearing about 5HTP as a post-party-blues cure. From my very basic knowledge of the human brain – I extrapolated that it could have long term effects as a prescription-less cure for depression and anxiety. There is a history of depression in my family – My dad is currently on anti-depressants and I am experiencing similar symptoms to his but I don’t currently have access to a mental health professional. My question is: Would you recommend any other supplement or medication that doesn’t require a prescription from a doctor to help manage my social anxiety and depression? My current plan is to take 100mg of 5HTP coupled with a Vit B rich multivitamin and 350mg of NALT with breakfast every morning. I also have a CBD vape which helps to ease the symptoms but it’s not strong enough on its own. Cameron, it may work. But depression and anxiety is more complex than the pharmaceutical companies would have you believe. Because they haven’t figured it out yet either. Is it okay to take aniracetam and 5 htp together? I’m taking L tyrosine and and 5 htp at the moment. Can you recomment me a safe ratio for l tyrosine and 5 htp? and also is it okay to include aniracetam in my stack? I see your videos on youtube and know that SSRIS and 5htp can be fatal. SSRIS are considered anti depressants, and aniracetam is considered a supplement for SSRIS and in some places it’s called an anti-depressant. So is it okay for to add aniracetam in my stack. Zeshan, you can use Aniracetam in your stack but you need to add either Alpha GPC or CDP-Choline too. Please check the dosage notes. There is no ‘safe ratio’ for tyrosine and 5-HTP. You know that one raises dopamine and the other serotonin. These two neurotransmitters must be in balance. But it’s different for everybody. For example, I personally use NALT 800 mg 3-times per day. But only use about 100 mg 5-HTP split into 4 doses of 25 mg each throughout the day depending on how I’m feeling. This dosage may be very different to you. Thanks for this informative article. It has opened my eyes about the pros/cons of 5HTP. Taking into account the risks that you have highlighted and your dosage recommendations for 5HTP, I would like to trial the stack that you have recommended using 5HTP with L-Tyrosine and Taurine (plus B Vitamins). 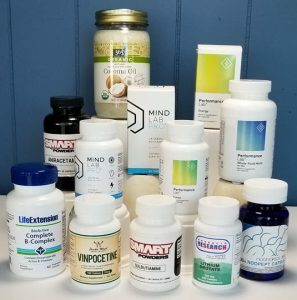 Using this stack, what would be your dosage recommendations for L-Tyrosine and Taurine, if I am taking 150mg – 300mg of 5HTP per day? I will be tracking potential side affects daily. Mark, follow the dosage recommendations in the reviews for L-Tyrosine and Taurine. Your 5-HTP dose will likely work better at the lower end. Try 100 – 150 mg and see how that feels. Possibly split in two or three smaller doses during the day. I’m trying to inhibit melatonin inhibition caused by light. Situation is that I go to meeting every Monday evening flooded with bright lights. Every Monday night I can’t sleep. I’ve tried blue light blocking glasses with very limited results. Will 5-HTP sustained release form taken in low dosage help me sleep after being exposed to bright light? You mention sulfur amino acid to stack with 5htp, when should you take it if you are stacking with Tyrosine, because i take all 4 in the morning with no breakfast. Then eat a late lunch. I do this as part of my lowering insulin. I know this works as i have tested labs and insulin lowered to 6. There is pleny of literature on lowering blood glucose through interval fasting. From previous comment, I use 5htp to suppress appetite, until i eat lunch, I also take Alcarnitine to help with fat burning. Jayp, you can use 5-HTP at the same time as dosing with Tyrosine. It helps balance dopamine and serotonin. Is serotonin syndrome correlated with dopamine defficiency? In other words, is disbalance of serotonin and dopamine levels in the body what causes SS or is it purely the effect of too much serotonin? Aleksandar, Serotonin Syndrome is caused by excess serotonin. And too much serotonin will suppress dopamine levels. Hi. Please read this if you can. Some time ago I bought a bottle of 5-htp supplements of 100mg for sleeping. I used it for some days and then stop talking it. Some days ago I had some trouble sleeping and I remembered I had those pills in my drawer. I was perfectly OK with mood, absolutely happy about life. I wasn’t with low serotonine or something like that. I took 1 pill with an empty stomach and after 30 minutes I became tired and experience a lot of anxiety. Then I stopped being tired and I became very paranoic, I had a little brain shiver too, strange leg/arms spasms. My right leg started to feel like “uncomfortable”. I ended up sleeping and when I woke up I had the same uncomfortable feeling in my right leg. It’s almost 5 days since the 5-htp pill ingestion and I’m still with this thing in my leg. I think its Restless leg syndrome. I Can’t sleep with this, im going insane. It’s really the worst thing that happened to me in my life. It’s giving me anxiety too. I investigated a lot and found that restless leg syndrome is mostly associated with dopamine depletion. Could 5htp unbalanced my dopamine/serotonine ending up in restless leg syndrome? Im really scared thinking this won’t go away. Here I found that 5htp taken alone could deplete dopamine. Dopamine depletion = cause of restless leg syndrome. Now my question. Is this reversable? Can i reduce my serotonine and increase my dopamine with l-tyrosine? Thanks! Jorge, you are correct. Excess serotonin can depress dopamine. And vice versa. 100 mg of 5-HTP is too much for most people which is the reason I’m cautious about recommending it. Thanks for all the info you put out there. This is all incredibly complex and individualised, isn’t it? With a requirement to experiment and tweak, could all be very expensive. I’ve just completely weaned off SSRI, sertraline (approx. 7yrs use), and it worked very well for me. As I’ve weaned, I’ve noticed a slow, sporadic reintroduction of feelings of anger and depression, so I’ve pondered using 5htp, sporadically. I understand the importance of balancing dopamine etc, so I’m wondering if I try weekly, one-dose of 5htp for a few weeks along with weekly, one-dose of l-tyrosine, to help me re-adjust after long SSRI use, and hopefully after a few weeks of this, won’t require anything at all, as I eat a fairly good, nutrient-dense diet, imo… what do you think? Katy, I suggest you do a little research first and find out the exact mechanism of action of sertraline in your brain. Wikipedia is good for that kind of thing. Then find nootropics that will ‘mimic’ or work similar to the prescription med. You are correct in making sure you keep dopamine and serotonin in balance. Using 5-HTP can easily throw that balance off. I think you’ll find that daily dosing is much better than weekly. And often it will take two or three doses per day to get to where you want to be. is it safe with 1200mg piracetam? Peter, there is no contraindication between the three nootropics that I’m aware of. Just make sure you follow the dosage recommendations for Piracetam. Including using a good choline source like Alpha GPC or CDP-Choline. You say split 100mg 5htp to 50 mg but how can i do it? Its mixed. Clearly if 5-HTP is included in a capsule of tablet with other ingredients you can’t split it. I get 100 mg 5-HTP lozenges from Natrol which are easily cut up with a pill splitter. Cihan, you are on the right track here. Lower doses of 5-HTP do not have as severe of a depressing effect as higher doses on dopamine. But everyone’s brain and system is different and has different tolerances. Which means you need to find the right dosage for you. Cihan, 5-HTP is used for the synthesis of serotonin which goes on to make melatonin. And cannot be combined with SSRIs because of the danger of boosting serotonin to much. Which can result in serotonin syndrome. 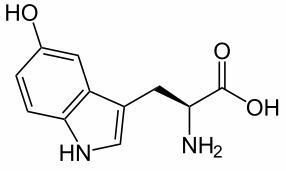 L-Tyrosine is used to synthesize L-DOPA which is used to make dopamine. Serotonin and dopamine must be in balance in your system. So you can take L-Tyrosine or Mucuna and 5-HTP at the same time. But dosages vary from person to person. This takes experimenting until you find the right dosage of each for you. 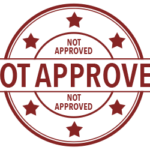 Based on recommended dosages in each individual review here on Nootropics Expert. Too much of any nootropic or the incorrect balance of supplements can be harmful to your body. Hi David, congratulations on your article. I am writing to you because I believe I have irreversibly ruined my body. My neurologist prescribed 5-htp to help me with paroxetine weaning. The problem is that I took 200mg for 9 days along with very low doses of Paroxetine and I started having erectile dysfunction. I immediately stopped both drugs, but the problem persists after eight months. To date I have extreme muscle weakness (CFS), difficulty in concentration, very low libido and erectile dysfunction. I think I damaged my receptors. In your opinion, can I do something to help them recover? Emanuele, researchers are still trying to figure out how the discontinuation of SSRI’s results in sexual dysfunction of all sorts including ED. But it doesn’t appear to be directly related to receptor insensitivity or damage. No one has figured out a solution to this. With some really smart people working on it. The best I can offer is to try something like this: https://www.performancelab.com/supplements/t-booster/. I realize it’s not the answer you are looking for but until someone figures this out the best you can do is experiment with different nootropics and supplements. And hope you find something that works. If it is a problem with ion channels, search Nootropics Expert and see if you can find a nootropic that supports ion channel function. Thank you so much for your answer. I sincerely hope to be able to come back to life. I take this opportunity to remind everyone to never take 5-HTP together with a serotonergic antidepressant. I’ve ruined my life forever. I’m only 25 years old. Hi. I have not seen this situation, but maybe I missed it. I have taken Paxil and Trazodone forever. 2 1/2 years ago surgeons removed my colon and appendix. Each day it seemed the P&T was working less and less. Without knowing where Vits and Mins and Nutrients are absorbed, I tried taking a lot of different Vits and some Mins. Then I tried some sublinguals (Melatonin, different brands), but did not work. I can never go to sleep before 3 a.m. I seem to be getting worse every day. Kay, your question is way beyond my area of expertise. Your digestive system is critical for well … digesting food and supplements so they make their way into your system. For example, 5-HTP is used the synthesize serotonin. And where does serotonin get manufactured? In your gut. I suggest finding a naturopath or integrative physician who can walk your through this. And help you find a solution. Or maybe 100mg:1000mg ratio is better? Filip, there’s no way to tell unless you try different dosages. But always, always start with the lowest recommended dose for each nootropic. For example, try 500 mg L-Tyrosine and 25 or 50 mg 5-HTP. L-Tyrosine is much more ‘forgiving’ than 5-HTP. You many find that you need twice as much 5-HTP with that dosage of L-Tyrosine but the only way to find out is experimenting. Everyone is ‘wired’ differently and responds uniquely to these nootropic supplements. But please DO NOT use 5-HTP while using Lexapro because it is far to dangerous. Thank you. Can I take 5HTP immediately when I stop lexapro or I need to wait few days? Filip, I’d give it a week to be safe and then start with a low dose.